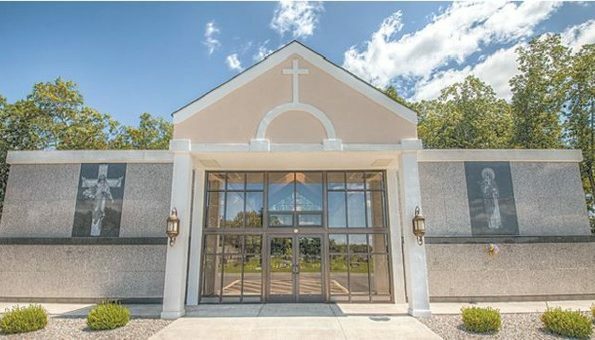 We are pleased to offer affordable Mausoleum Crypts and Cremation Niches in an environment which encourages frequent visitation in a peaceful, dignified atmosphere. For almost one hundred and fifty years our parish cemetery has continued to provide burial plots and niches for Catholic families. 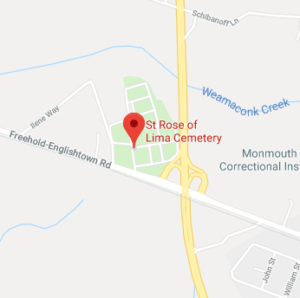 Purchased in 1856, the cemetery is located on 28.9 acres of well maintained land on Freehold Englishtown Road (Route 522) just west of Route 9. The original mausoleum houses four hundred and eight crypts and sixty niches. The new Mausoleum features 332 crypts and 128 cremation niches. The pyramids of Egypt, the tomb of Christ, and the Taj Mahal are all mausoleums, but mausoleum entombment in not only for the rich and famous. Today all families have the opportunity for mausoleum entombment. 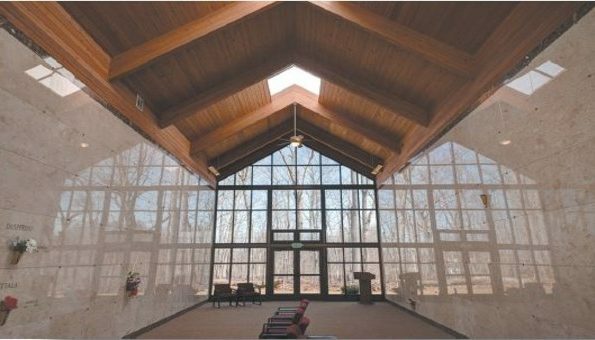 A common misconception is that mausoleum entombment is significantly more costly than in-ground burial, but in fact, it is comparable to an in-ground burial. Some crypts in the mausoleum are located indoors and provide a secure,climate controlled environment for visitors. Mausoleum crypts can be personalized with a unique picture and vase. St. Rose of Lima Catholic Mausoleum serves as a symbol of the extended community of its Church and the surrounding area. We welcome non-Catholic relative’s entombment with their Catholic family.